The PADI Open Water Diver certification is the world’s most popular and widely recognised scuba diving licence. Becoming a certified diver is a highly rewarding experience and will literally open-up a whole new world of possibilities for travel, discovery and adventure. Best of all - explore the remaining 70% of the planet! First, complete PADI 'eLearning' to lay the theoretical foundation, then once here in Port Douglas you'll spend 3 days under expert supervision, practicing all of the fundamental skills required to dive with a buddy, to a maximum depth of 18 metres, anywhere in the world! 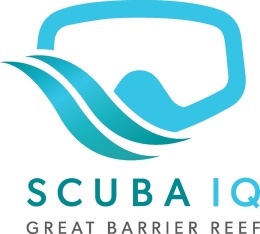 4 open water dives are required for certification and we include 2 free extra dives on the last day of the course, for you to relax and explore the Great Barrier Reef while still under our guidance. Available for tablet, smartphone, PC or Mac. Through 'eLearning' you learn where, how and when you want, Completing before going on holiday, gets you diving quicker and is also a 'clean-green' option! In the comfort of a swimming pool, at the Mirage Country Club, Port Douglas, you will learn everything from assembling your own equipment, adjusting your buoyancy and hand signals through to what to do in an emergency​. First, we show you an exercise and then we'll ask you to try. Once all of the different skills have been mastered there will be time for us to improve and perfect so that you are ready for your open water training dives. Then, to finish off the session, we complete a 'mini-dive' to give you a little taste of what to expect when we go to the Great Barrier Reef for your Open Water training dives. The final part of your Open Water course is to show us everything you have learned so far - in the real world! 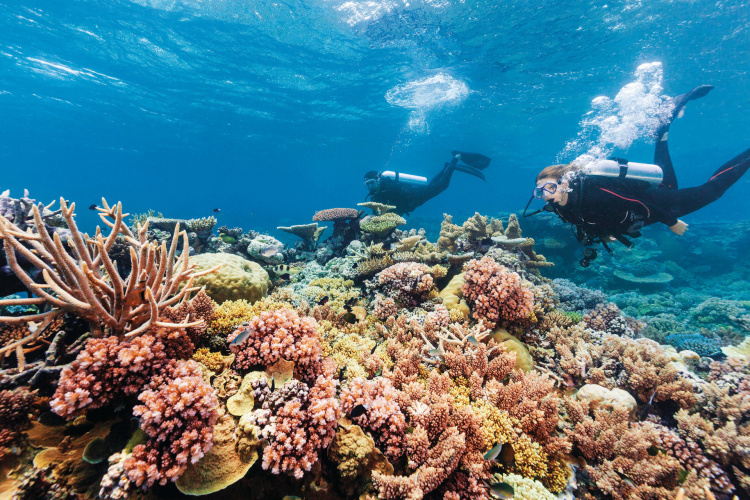 We'll spend 2 days (6 dives) diving aboard locally-owned 'Calypso reef cruises' dive boats, visiting some of the best reefs to be found in the Port Douglas area. Once all of the training requirements have been completed - typically at the end of the first dive on the second day, we'll take you on 2 extra guided dives so you can use all of your newly acquired skills to explore the Great Barrier Reef at your own pace.